Extended warranties – better protection? Getting the best value for money spent on products is the ultimate goal of all consumers. This goal is not achieved when we buy goods that after a while break down and we either have to fork out money to fix them or replace them. This situation may be avoided if we take a number of precautions such as buying good-quality products protected with a strong commercial guarantee. When buying certain types of products, such as white goods and electronic products, some sellers do not only provide us with a standard commercial warranty but also offer us to extend this protection by purchasing an extended warranty. If we are interested in buying such a warranty we should first inform ourselves on the benefits the warranty offers. What does the warranty really cover? Does it only cover mechanical breakdowns or does it also cover wear and tear damages and accidental damages? Special attention should also be given to the solutions or remedies the guarantee offers. Does it offer to replace the defective product or to repair it? Something else to take into consideration is whether a damaged product is repeatedly repaired or replaced. Can consumers claim a full refund if the damaged product cannot be repaired or replaced? Are there any additional costs? Does the warranty cover parts and labour? Is there an additional cost for transporting the goods? If yes how much? Naturally, the more flexible the extended warranty is, and the more it covers, the more we consumers would benefit should we decide to purchase it. Another factor we should consider before buying an extended warranty is the cost of the warranty and the likelihood of having to use it. An extended warranty is usually worth its price if the product it covers is very expensive. We should also weigh the cost of the extra guarantee against the cost of replacing the item or repairing it outside the guarantee. 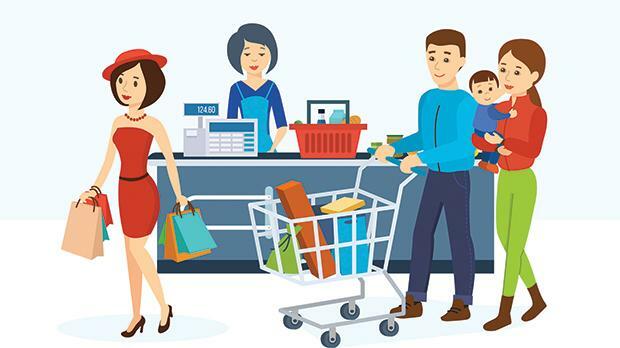 To ensure that we consumers always get the best value for our money, it is our responsibility to shop around for the best product and guarantee. Besides comparing brands we should also see that other sellers offer as standard guarantees. When doing so we may find products that carry standard commercial guarantees that are as beneficial as the extended guarantee we are considering to buy. We should also compare extended warranties and their cost. As consumers, we should also be aware of the protection the law provides us with free of charge when the products we buy either turn out to be defective or do not conform to the contract of sale. When this is the case, the seller is legally obliged to provide a remedy which can take the form of free repair or replacement. If these two remedies are not possible or may cause us a significant inconvenience, then part or full refund of the money paid may be opted for as a solution. We may claim these remedies within a maximum period of two years from the date of delivery of the product purchased. Hence, an extended warranty should only be purchased when it provides additional protection than that established at law. As consumers, we should remember that buying an extended warranty should always be an option and we should not be pressured by the seller to purchase the additional protection. We must also make sure that any terms and conditions promised to us should be also provided in writing and must be honoured by the guarantor. When a guarantee is breached we have the right to take legal action against the guarantor so that the guarantee given to us is honoured. Odette Vella is director, Information Education and Research Directorate, Office for Consumer Affairs, Malta Competition and Consumer Affairs Authority.